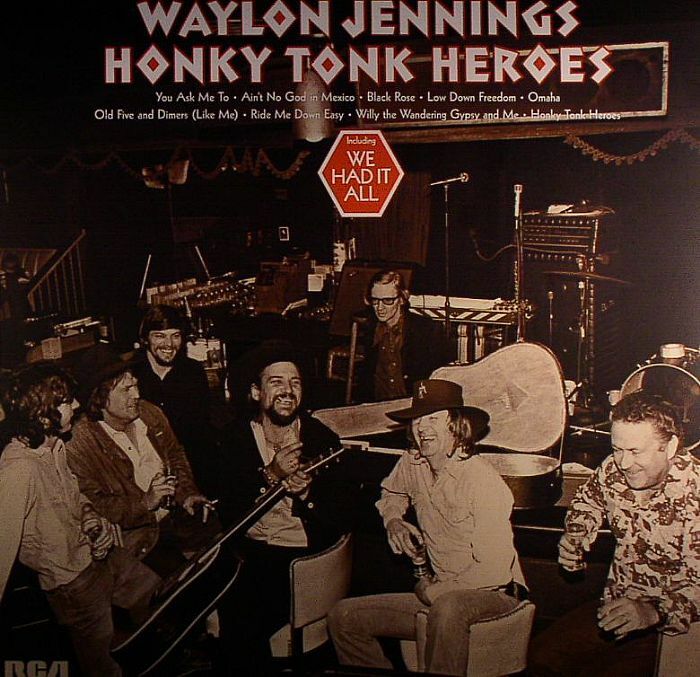 In May 1973 Waylon Jennings released his masterpiece album Honky Tonk Heroes (HTH) on RCA. The record company was reluctant to release it, but they had just renegotiated Waylon’s contract giving him full control of his recording so as not to lose him to Atlantic Records. They were worried this collection of Billy Jo Shaver songs were too raw, too honest, too off the Nashville map for success. They were leery of the players, for the first time the recording was done by Waylon’s touring band and not hired Nashville guns. What they released was the initial wave of a musical storm named “Outlaw”. HTH set the benchmark and the blueprint for what was to follow, a turn away from the Nashville factory and to personal vision and artistic truth, not only to the songs but to the arrangements. This sound brought many aspects of rock and roll into the fold, one most notable was the rhythm section. Waylon, being the bass player in Buddy Holly and the Crickets, loved the thump of the bottom end locked into a perfect duet with the percussion. The ignition of HTH influenced many artists and songwriters: such as Johnny Cash, Merle Haggard, Willie Nelson, Kris Kristofferson, Hank Williams Jr., Townes Van Zandt, Tanya Tucker, Jessi Colter, Sammi Smith, and Emmylou Harris. The coming years would see this sub-genre explode with Waylon and Willie throwing most of the dynamite. HTH remains a powerful reminder of how great Country Music can be. I listen to the “new country” and it seems so safe and generic. I tell friends it’s mainly “bad Eagles music” or Jimmy Buffet with a cowboy hat, excuse me I mean a backward baseball hat. I know there are exceptions, but it seems to me we need a Waylon Jennings and a Honky Tonk Heroes to wash away lots of plastic on Country’s beach. Honky Tonk Heroes is one of those seminal works that everyone should own, or at least hear once.